We, and my parents (Glenn and Beverly), had a nice trip on the Oregon Coast Scenic Railroad today. People of all ages and stages stopped and waved at our train all through the little towns of Rockaway Beach and Garibaldi. Everybody loves a train! Mom and Dad came down to spend a few days with us at the beach. 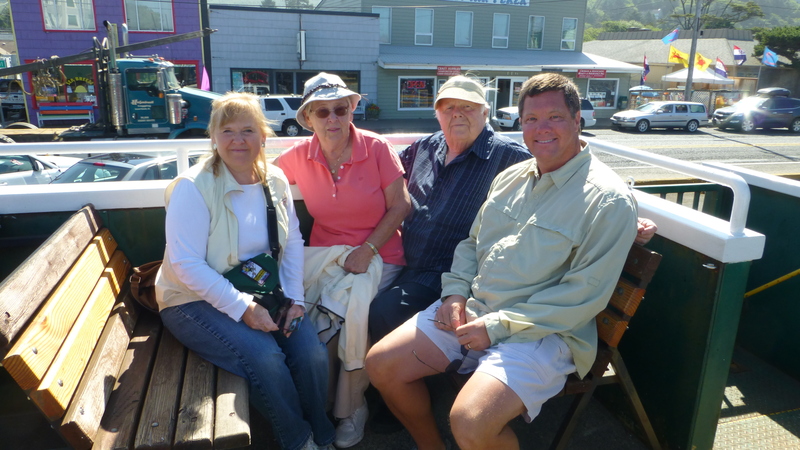 In addition to the train we have enjoyed the campground, our camping neighbors (Cliff and Edson from Mississippi) and spending time at the Garibaldi Mariner Museum. We learned today that the nautical speed of “knots” was determined by throwing a “board” at the end of a rope (with knots tied at specific intervals) off the end of the boat. After 30 seconds you count how many knots have been pulled into the water. The number of knots is the speed. Cool, huh! Before they came Randy and I went to the Tillamook Cheese Factory (for cheese and ice-cream), to the Tillamook Farmer’s Market and to the Tillamook Country Smokehouse (for jerkey) twice! 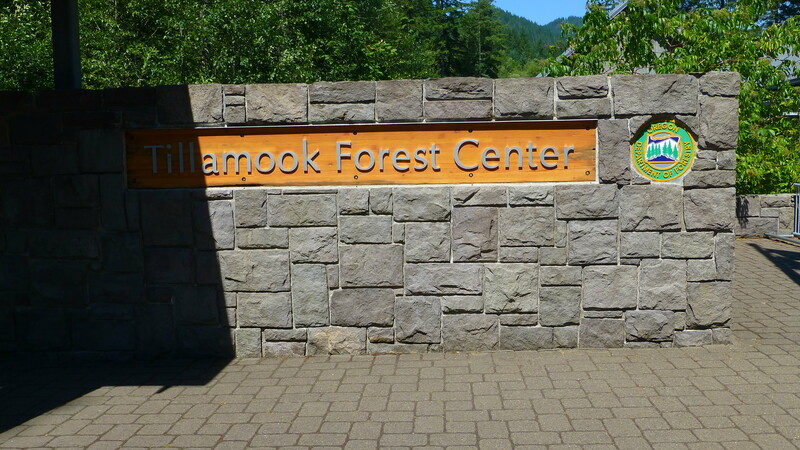 We took a day trip to the Tillamook Forest Center. It includes an interactive museum/discovery center that is very well done. Beginning in 1933, the area had devastating forest fires every six years. The fires in the first three cycles could not be suppressed until nature did it with rain and snow. By 1951, firefighting skills and equipment had developed such that human efforts were successful. Over the next many years, the area was reforested with the help of school children, prisoners, and regular folks. It was estimated that the deer ate 2 of every 3 seedlings. They also used the experimental technique of dropping seed by helicopter. The forest is beautiful now, 60 years later, so something was successful. We also went to Cape Meares Lighthouse. When Natasha was young we visited a lot of the Oregon and Washington lighthouses but I don’t think we have ever been here before. 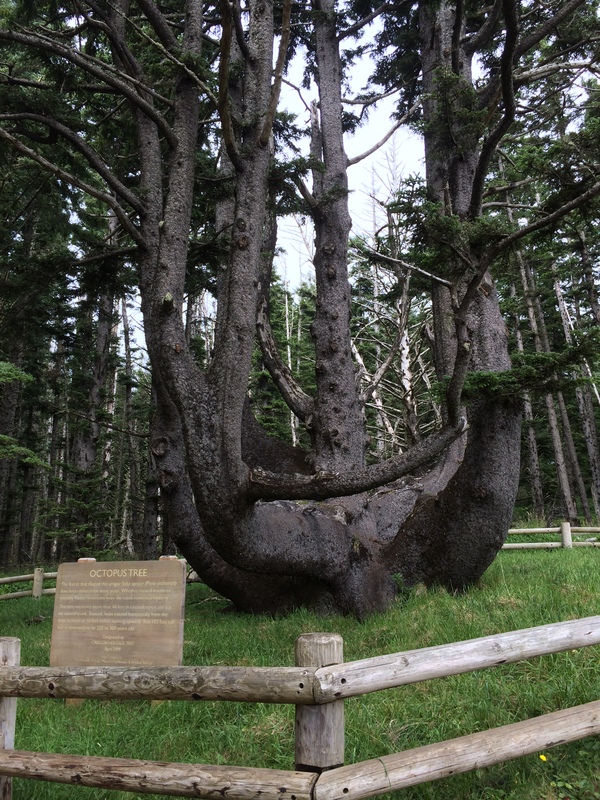 On the grounds there is a tree they call the Octopus Tree – you can see why! 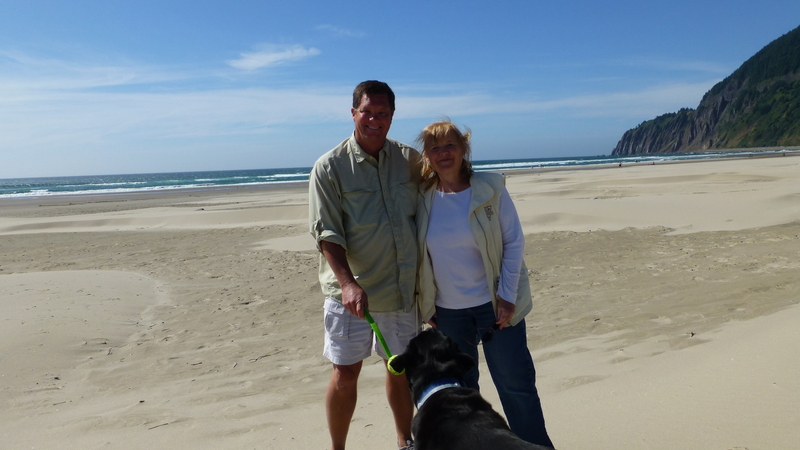 A very enjoyable part of our stay has been daily (sometimes twice daily) visits to Manzanita and Rockaway Beaches. The beaches here are beautiful and not smelly! The sand is perfect. Elko had a great time chasing his ball on the beach. We just enjoyed the walks. In an effort to keep our brains stimulated (yeah right…)we conducted a beach experiment today. The wind creates these wonderful peaks and ridges. We stepped on the ridge and walked down the small dune. 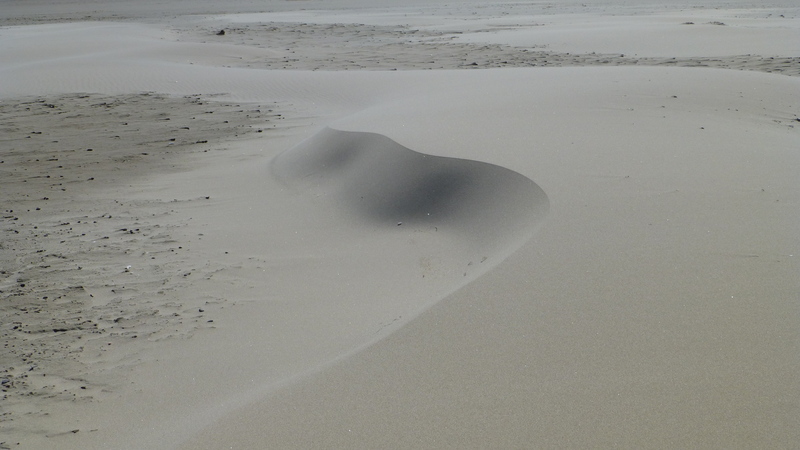 We waited to see how long it would take for the winds to re-create the dune. It was almost perfect in 10-12 minutes. Tomorrow morning my parents head back to Vancouver and we head to Bend for a week. Boise is the week after that. We are looking forward to seeing those of you who live in Boise! 8 Responses to Everybody Loves a Train! Hopefully we can get together when you are back in Boise. I want to hear how it has been going so far! Me and my family use to take vacations in Lincoln City and would often make the trip to the Tillamook Factory. Memories of good times. Glad you two are enjoying your new life. Sounds wonderful. Glad we could bring back some good memories. We had a nice visit. So glad you are really enjoying life on your ventures! You sure would’ve met a lot more relatives if you were at Diamond Lake now! Look forward to meeting them next time! Did you find the Octopus geocache in the shadow of the Octopus tree? We did not look so, no. There were tons of people around so would have been hard to look. Have you? We did find one micro cache accidently the other day on a roadside sign on the Cascade Lakes Highway. It was just laying out for anyone to see and/or toss for trash. We logged it and then hid it.